By this point, I’m sure you can tell what’s Jalop-bait and what’s not. The car’s gotta have a manual and generally be a wagon, at the very least. If you can throw a Radwood spin on it, even better. 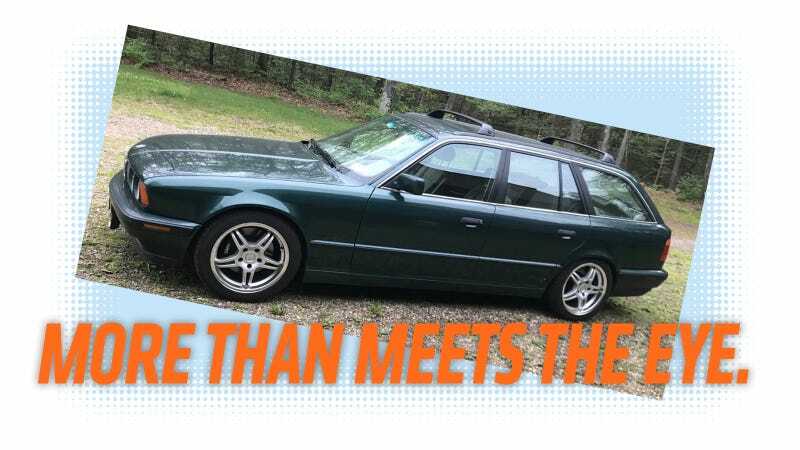 And this 1993 BMW 525i that popped up on Craigslist is the closest to that car I’ve seen in a while, namely because it has a V12 engine from an 8 Series—and a bunch of other parts from BMW’s big fancy ’90s coupe. He alleged that the original 1994 850Ci had flipped in a wreck and was salvaged. The body was destroyed but all the mechanicals were “perfect” and that “it was a small leap to build an ultimate BMW wagon sleeper” with those parts. After about two years of ownership, the owner is ready to let it go. His price? $17,000, at the time of this writing. What do you think? Is this the Jalop-Radwood BMW Unicorn Wagon of your wildest dreams? Or something you should run from?